Narcolepsy Immunogenetics: Where is the Evidence? 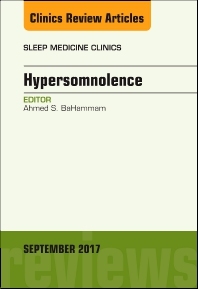 This issue of Sleep Medicine Clinics is edited by Dr.Ahmed BaHammam and focuses on Hypersomnia. Article topics include: Hypersomnia: neurobiological basis; Narcolepsy Immunogenetics: Where is the Evidence? ; Genetic markers of sleepiness; Autonomic function instabilities in Narcolepsy; Epidemiology of Excessive Daytime Sleepiness; Evaluation of the sleepy patient: differential diagnosis; Subjective and objective assessment of hypersomnia; Sleepiness in Narcolepsy; Idiopathic hypersomnia; Sleep disordered breathing and excessive daytime sleepiness; Drug-induced excessive sleepiness; Kleine-Levin syndrome and recurrent hypersomnia; Behaviorally induced insufficient sleep syndrome: an underestimated cause of hypersomnia; Sleepiness in children; Sleepiness in Adolescents; Sleepiness in the elderly; Depression and Hypersomnia: a complex association; Neurodegenerative diseases and excessive sleepiness; Sleepiness and traffic safety; Pharmacological management of excessive daytime sleepiness; Non-pharmacological management of excessive daytime sleepiness.